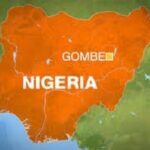 Gombe State North East of the country, Project Manager of Save the Children International, Altine Lewi has expressed worry over the high rate of Neonatal Infant under 5 Mortality in Gombe State. She was referring to the multiple indicator cluster survey 2017 which indicates that Northeast accounts for the high rate of Neonatal Infant and under five mortality in the country. Altine lewi was speaking at the end of project dissemination meeting and commemoration of the 100 years of the organisation’s establishment in the world. She emphasised that Northeast is second to the Northwest on the rate of Neonatal Infant and under five mortality in the zone. 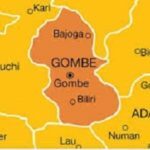 She said there is 33.62 and 115 per 1000 live birth respectively adding that Gombe state rate is higher than the northeast and the national averages. According to her, the figures in the state are 35.62 and 162 per 100 live births. 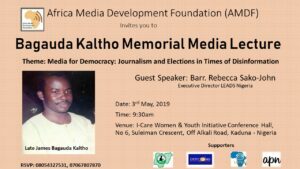 The State Project Manager also said the United Nation Children Fund (UNICEF) 2017 report indicated that the current leading causes of children death is pneumonia put at 19 percent, malaria 12.5 percent, prematurity 12.1percent, diarrhoea 10.1 percent and measles 1.8 percent. 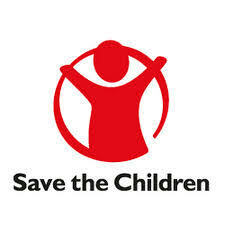 “Save the Children’s efforts save the children’s theory of change is high on advocating and campaigning for better practices and policies to fulfill children’s right to health, achieving results at scale and supporting the implementation of practices, programmes and policies to ensure sustainable impact for children developing and replicating breakthroughs for children and building partnerships to influenced others to better the lives of children.” she said. Also speaking, the Gombe state Advocacy Officer of the Organisation, Mr. Apeh Joseph said the organisation in collaboration with the Gombe State Ministry of Health was able to achieve a lot in the area of training and retraining of Health workers in the State. In a remark, the state Commissioner of Health, Dr. Ishaya Kennedy commended Save the Children for their contribution in improving the state health sector by building the capacity of health workers in the state. The organization then made a presentation of training materials to the State Ministry of Health comprising Breast feeding stimulators, Neonatalie, Suction (Mucus extractor), Malaria and Diarrhoea flow chart, essential Management of Pregnancy and Childbirth as well as ENCC provider guide Training Modules among many others.